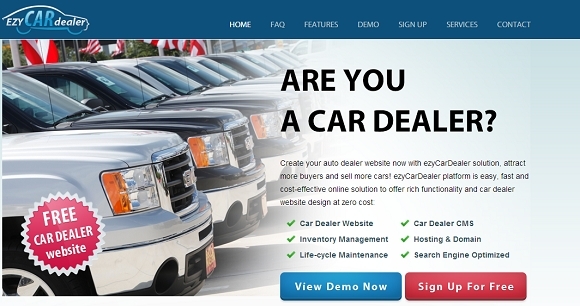 start your car dealer business now! Shopping online has become a really convenient way of finding what you want any time you want it! You don't have to waste your time and effort anymore visiting shops that just lack what you need - instead you get online and find what you need in just a few minutes! build websites with no effort! Wouldn’t it be nice if you could harness the power of the Internet anywhere without knowing too much about its internal workings and programming? Wouldn't it be nice if you could change your web site in a few minutes without knowing way too much about PHP? The answer is definitely yes, but who’s to help in such situations? Actually there’s something that can help you - a really smart computer program called Scriptcase that generates website PHP code in no time! Have you ever felt the need to voice your opinion? You sure have and while in real life it may sometimes be hard to do so, the Internet is the perfect place to make your opinion heard. It does not matter how - be it on your own web site or on some other place. But in both cases Concordia Enterprises has a really nice solution for you - the company's reviews and ratings system. Client appointments of all sorts are crucial to small business owners, who offer a number of services. It can’t be any other way as they set the stage for live client interaction later in time, make the entire business tick and generate money. Yet it is often difficult to handle appointments as they are easy to forget and hard to readjust if such need arises. Fortunately a company known as Hitcode is here to help with its wonderful hitAppoint appointment scheduling software. If you are into online marketing and sales and want to reach thousands of potential customers then maybe you should try Absolute Newsletter by Xigla Software. "Why?" you may ask. A good reason would be because it is simple, powerful and light on your software budget. The modern Internet is full of ads. They are everywhere because they have easy access to millions of people and generate a lot of money for web sites and their owners. Chances are your web site has them too so why not manage them better and have higher profit?